As the Group started to find out more about Harrowbeer, we began to get tantalising glimpses of the buildings that were on the airfield. Much walking around with maps and books on airfield construction began to show us what used to be on the ground, (much to the amusement of those who can remember the airfield and all its buildings!). This page is all about the buildings you would have expected to see at Harrowbeer. There are eleven of these pens around the airfield. They were designed to be either of two sizes, (with local variations). 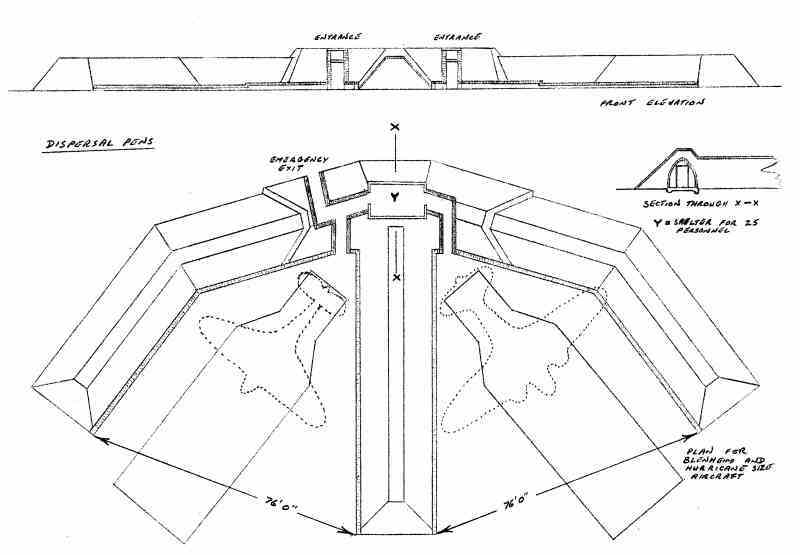 Those nearest Yelverton are approx 66 feet across the arms, (for Fighters) whilst those near Knightstone are 76 feet, (for Blenheims). Several have machine gun positions built into the ends of the arms, and two have raised pads built into their sides. Harrowbeer had two Bellman Hangars and eight Blister Hangars. After the war, they were believed to have been demolished and scrapped. However, this was not the case! 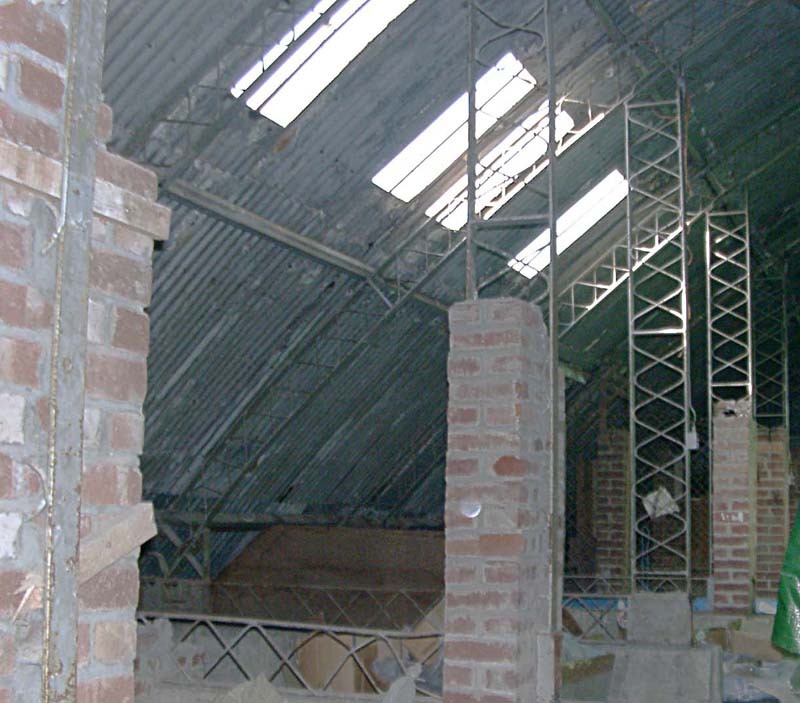 Some were dismantled by Devon County Council, (DCC) and Plymouth City Council (PCC) and rebuilt....somewhere! 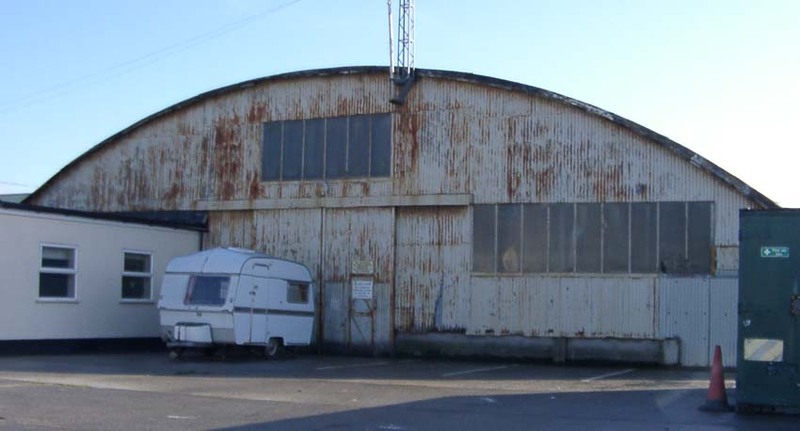 We were told that two were rebuilt on the DCC Transport Division site in Exeter, where two hangars stood until quite recently, before they were unceremoniously demolished. Additionally, two similar hangars were 'found' on a PCC site in Plymouth. They were [all] modified slightly during reconstruction, mainly with the removal of the extension track that allowed the doors to open fully. 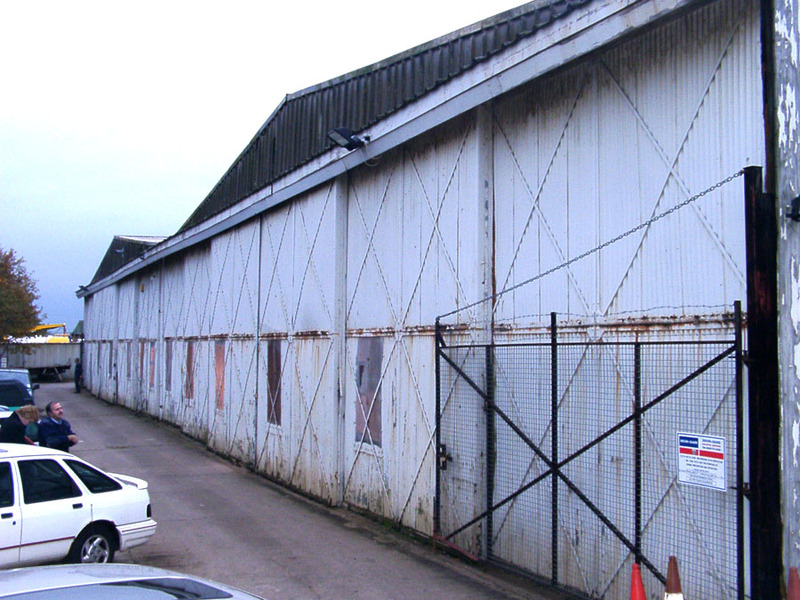 Our thanks to John Harding at SWH for contacting us and allowing us to visit and take photos of the Exeter hangars (long before they were demolished). Similar thanks to staff at the PCC depot. We are now trying to find out which hangars are from where, but John is adamant that Exeter had the Harrowbeer ones. 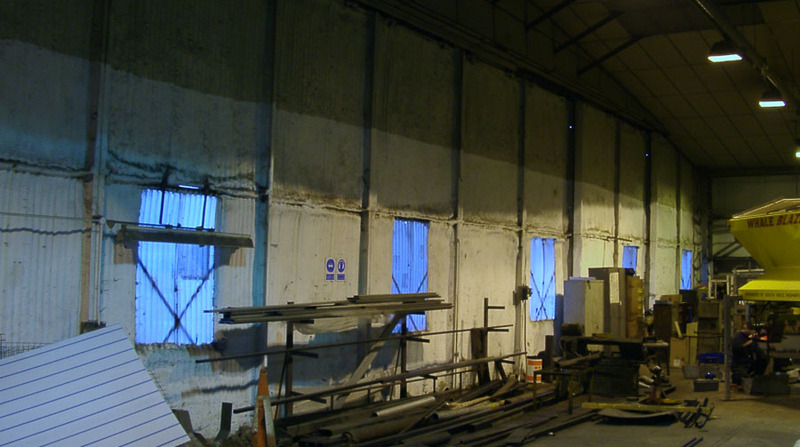 Shortly after I put the first of these hangar pictures up, I received an email telling me about the Plymouth depot. Not only did they have two Bellman hangars but they also had a Blister Hangar from Harrowbeer, (There were two of these on the site originally but one had to be demolished). Thus, with two blister hangars at this depot, plus the (now demolished) 'Blister Cafe' on the Hoe, we have now found three of Harrowbeers blister hangars as well as its Bellman Hangars. We also believe that the old Hoe Theatre was a recycled Harrowbeer building. So, if anybody knows of any other buildings still around......! And yes we know there are some at Winkleigh and Dunkerswell. 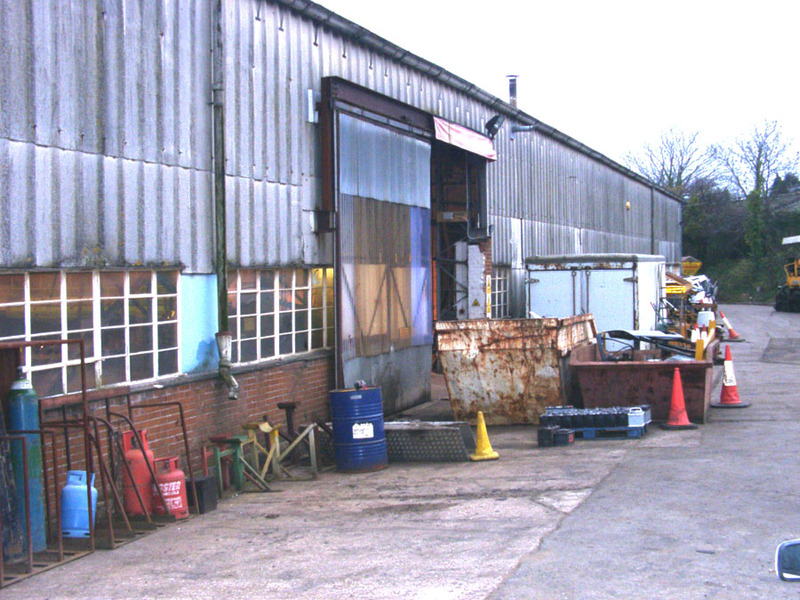 Exeter Depot - all these now demolished and scrapped! 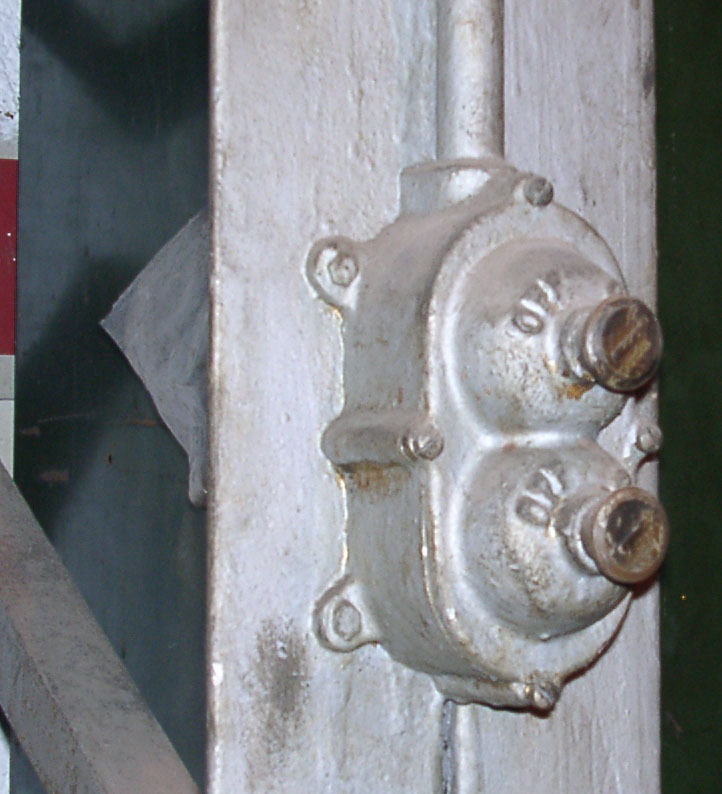 A view of two sets of original doors. Note that there are two hangars side-by-side here. 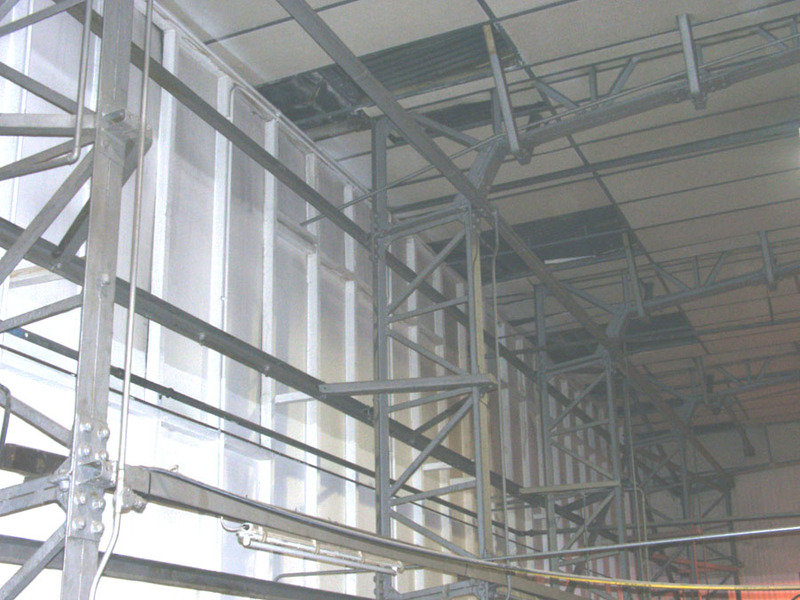 The doors have been slightly modified in that the extension arms which allowed the doors to open over the full width of the hangar entrance have been removed. 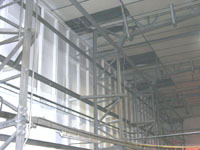 Taken from the same position as above, but looking down the side of the building. Remember that here, this is one side, of one hangar. Not sure if the brickwork and windows are contemporary or were added later during the reconstruction. 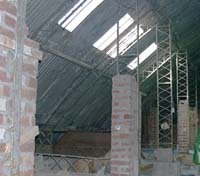 Three views showing details of the internal structure of the Bellman Hangars. The left & right pictures are from the hangar at Exeter, (which has a false ceiling) the centre view is from the Plymouth Hangar (which doesn't). 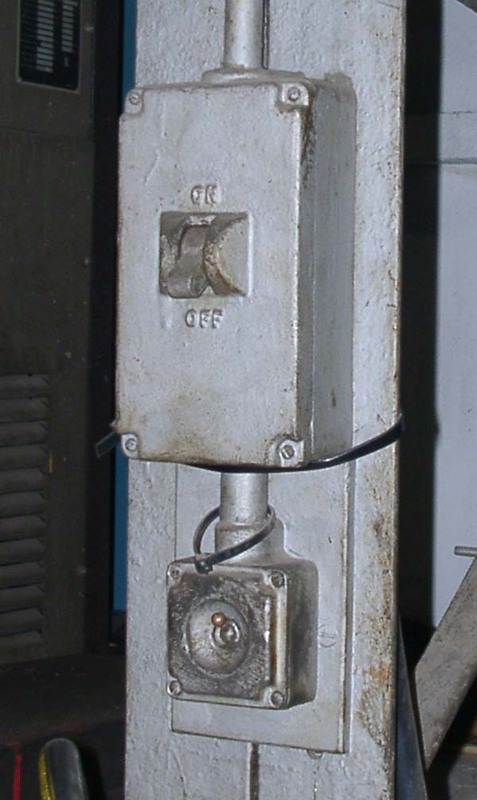 In several places, many of the original wiring fixtures and fittings were still in place. 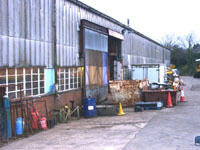 An exterior view of a blister hangar in Plymouth. The caravan gives a good idea of the scale/size of the hangar. 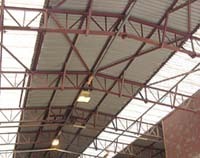 Not easy to get a good shot of this but this shows the side of the hangar with brick piers stiffening the girders supporting the roof. 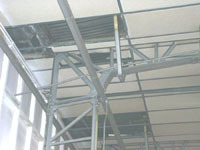 An example of a Gun Trainer Dome. Harrowbeer had one of these near the main entrance. 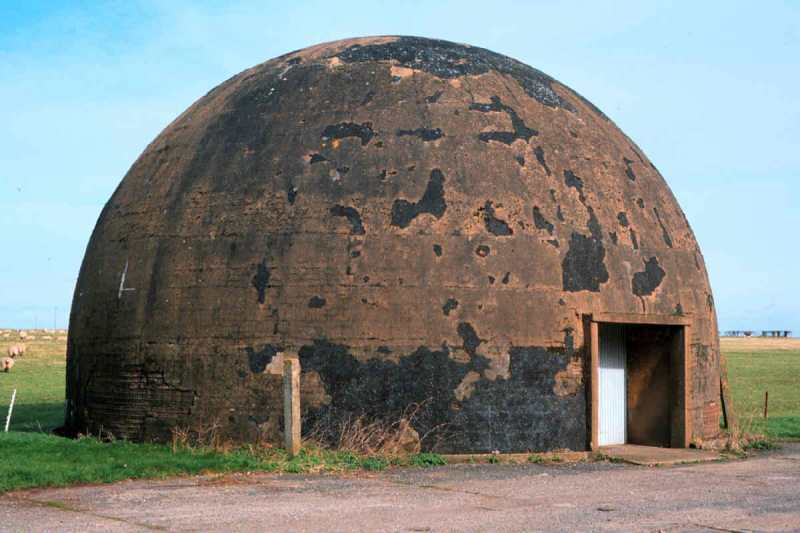 The dome was used to train anti-aircraft gunners. The gun was mounted in the centre of the floor and incoming aircraft film was projected onto the doom. A sort of early 'flight simulator'.